Projektų valdymo ir apskaitos programa Smartsheet – tai visapusiška projektų valdymo platforma, kuri užtikrina paprastą dokumentų valdymą, užduočių valdymą, terminų stebėjimą, bendradarbiavimą ir lankstų ataskaitų pateikimą. Tiek paprasti tiek sudėtingi projektai sukuriami su Smartsheet platforma, kurioje pridedami atitinkami projekto dalyviai. Per tam tikrą informacinį lapą yra greitai pasiekiama visa su projektu susijusi informacija, dokumentai, priedai ir projekto dalyvių komunikacija. 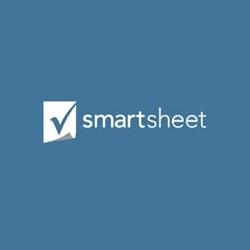 Smartsheet is the world’s leading SaaS platform for managing and automating collaborative work. Over 69,000 brands, and millions of information workers, trust Smartsheet to help them accelerate business execution and address the volume and velocity of today’s collaborative work. Sound hard? It’s not. In fact, according to Forrester, over 90% of our customers say that Smartsheet is easy to deploy and use, and 96% of them would recommend Smartsheet to a colleague. Named to the Forbes “Cloud 100” list of the best private companies in cloud computing, and by Gartner as a “Cool Vendor”, Smartsheet is used by over 50% of the Fortune 500 and maintains rich data integrations with mission-critical applications from Microsoft, Google, Salesforce, Atlassian, and many others. Smartsheet enables you to centralize and collaborate on all pieces of your project. Attach files - documents, PDFs, presentations, graphic files, and more - along with free-form notes and comments to any row.